The statement wasn’t fact-checked, and no further questions were asked, but the CDU highlighted it on Twitter to emphasise what they see as a huge problem. Throughout Saturday and into Sunday morning, the CDU has failed to respond to requests for a comment, but judging by his remarks, it seems as though Caspary is talking about the non-profit organisation EDRI, which covered costs of up to €450 for citizens who wanted to travel to Strasbourg and “meet with MEPs and ask them to vote against an upload filter”. It is, therefore, a completely overt attempt by EDRI to lobby and influence MEPs. However, it’s 1) not a payment for demonstrating; 2) reimbursement of travel costs to Parliament in Strasbourg, and not to any of yesterday’s demonstration cities; and, most importantly, 3) about a dozen people took up the offer. Mattias Bjärnemalm, Swedish Pirate Party candidate for May’s European Parliament elections, pointed out the connection to EDRI, “most inaccuracies are based on a distortion of some form of real-life event,” he says. “I have great respect for the many of you who take the streets to demonstrate your views. I will always fight for freedom, democracy and the right to demonstrate, and I view with regret any other interpretation. But when organisations try to influence public opinion through questionable methods such as ‘financial support’, it is also possible to criticise”, Caspary said, referring to EDRI. 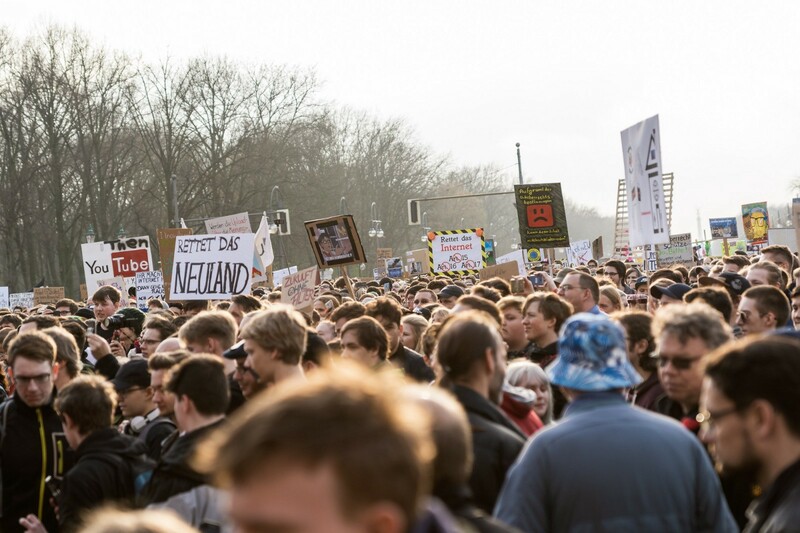 Clearly, EDRI isn’t a wealthy lobby group with massive funding from American internet giants, at least not to the extent of compensating 100,000 protesters. If even 1% of those demonstrating were to have been paid, it would’ve cost the corporates about half a million euro just to populate a tiny portion of the protests. Several of the organisations behind the demonstrations have also struggled to raise money to cover the expenses of the rallies themselves. For example, Save Your Internet has only received just over half of the €50,000 they requested. 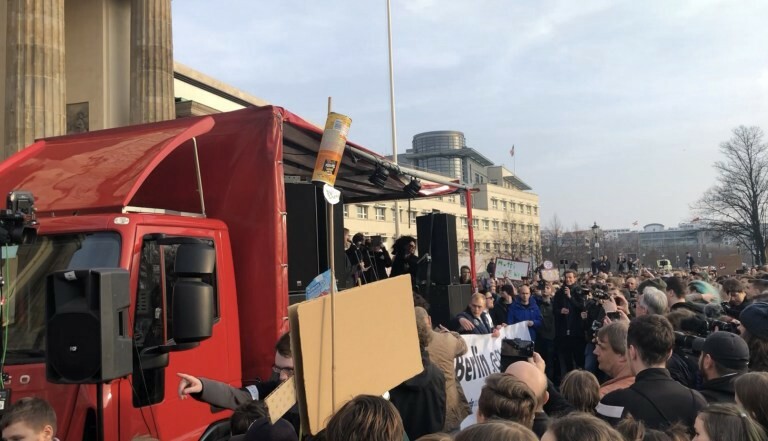 Even during Saturday’s demonstration in Berlin, it was obvious that the budget for both stage and PA system was severely limited. From this stage, speeches were held that should’ve reached 100,000 people, yet it ended up a show for just the few thousand nearest the stage.